Another Crosspool Calendar is planned for 2016 – and your photos could be part of it. All 300 copies of the 2015 edition sold in a few weeks. 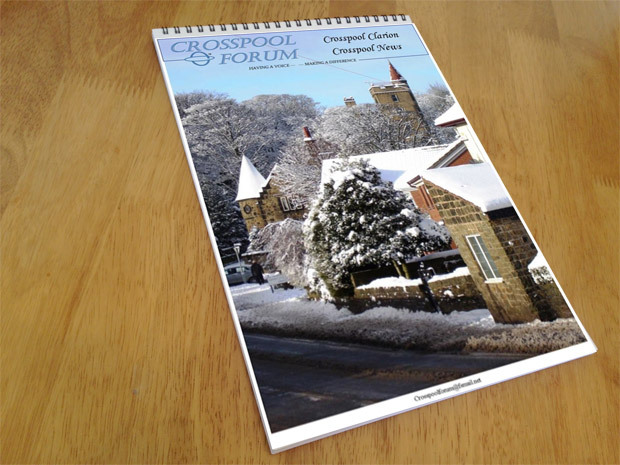 The calendar featured Crosspool scenes from over the years. Many of the photos in the calendar were taken by local residents, plus there were some archive shots showing familiar locations looking very different in times gone by. If you own any of your own photos – old or new – that you’d like to be considered for inclusion in the 2016 calender, please email them to crosspoolforum@fsmail.net, with the subject line ‘2016 calendar photos’ remembering to include your name, address and telephone number. The deadline to submit your pictures is Wednesday 30 September. We’re after a variety of views, eras and seasons and it doesn’t matter if your photo is taken on a cheap camera or phone. Remember, you must own the copyright for any photo that you submit. And by sending us the photo you agree that we can use it on the Crosspool Calendar, Crosspool News website, social media and for any other promotional means. Money raised will help Crosspool Forum funds for local events and improvements to our neighbourhood. This entry was posted in crosspool, photos and tagged crosspool calendar, photography, photos. Bookmark the permalink.